Starting Line’s analysis of Iowa’ four congressional races continues today with the most intriguing primary of all: the Des Moines-based 3rd District. 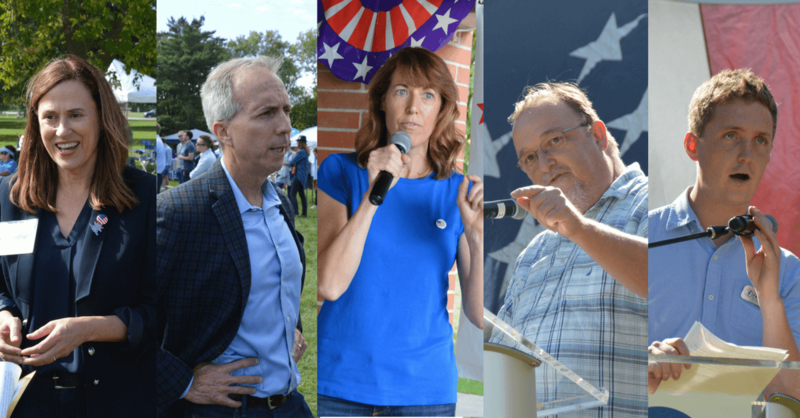 Four, possibly five Democrats have a real shot at winning the party’s nomination to take on incumbent Republican Congressman David Young. It’s also more likely than not that the nomination goes to a convention if no candidate gets to 35%, the amount required by Iowa law to avoid doing so. Young himself prevailed in a nominating convention in 2014 after coming in 5th place in the primary. Could the Democrat who finally defeats him come out of a similar process? Nearly every candidate filed their 3rd quarter finance reports on Monday, each showing candidates taking very different approaches to building their campaign accounts. There’s no other Iowa race where the contenders all are taking such unique paths to potential victories. Seven Democrats are competing for the party’s nomination: real estate business president Theresa Greenfield of Des Moines, small business owner and baseball coach Eddie Mauro of Des Moines, small business owner and community activist Cindy Axne of West Des Moines, political consultant and former Bernie Sanders adviser Pete D’Alessandro of Des Moines, former U.S. Treasury economist Austin Frerick of Winterset, Broadlawns Medical Center behavioral tech and former minister Paul Knupp of Des Moines and reality TV show gadfly Heather Ryan of Des Moines. Heather Ryan ? ? ? 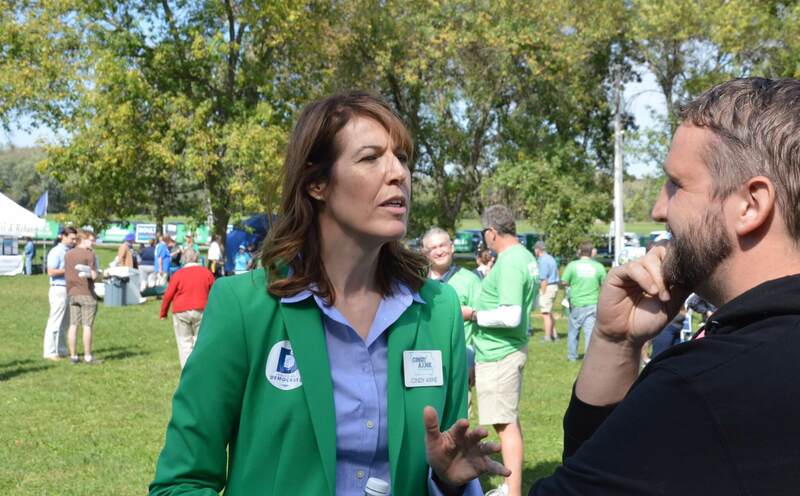 Greenfield put up the most impressive financial report of any congressional candidate in Iowa for the 3rd quarter. Only incumbent members of Congress Dave Loebsack and David Young raised more than her, and that Young total comes with an asterisk (explained later). Greenfield is a first-time candidate, and there’s always questions of whether political newcomers can put together the funds necessary to take on an entrenched incumbent. 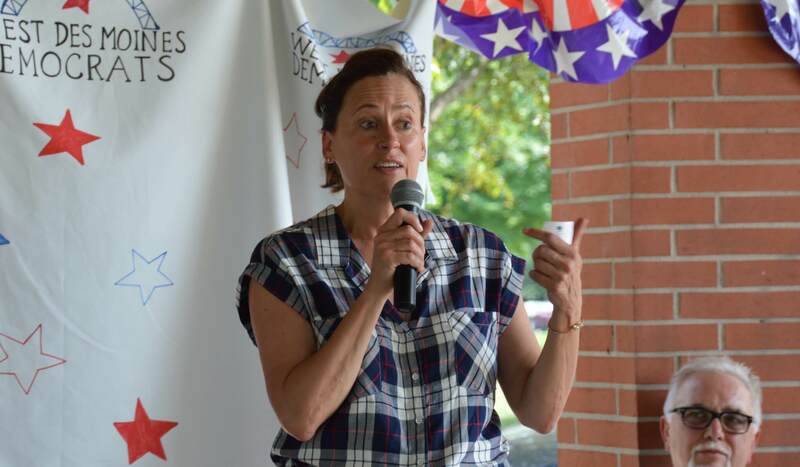 She more than proved that in her initial fundraising quarter, making the case that she could be considered the early frontrunner in the 3rd District’s wide-open Democratic primary field. The $200,000 haul was accomplished by bringing in a lot of big checks from the real estate industry in Iowa (Greenfield is the president of Colby Interests, a major realty company in Windsor Heights), tapping into a lucrative network that not all Democrats have great ins with. Her filing is filled with engineers, real estate leaders and employees, construction company owners and architects. Among her donations were $2,700 from Alliance Construction group’s Dustin Jones of Urbandale, $1,000 from Mike Knapp of Iowa Realty, $2,000 from Hubbell Commercial’s William Wright of Norwalk and $2,000 from Kevin Spooner of Johnston, a commercial construction contractor. Colby Properties’ James Smith also maxed out. Greenfield also made big inroads into the Des Moines donor network, especially the South of Ground crowd. Roxanne and Jim Conlin contributed $2,500 each, Jerry Crawford maxed out with $2,700, as did Charlotte Hubbell. Gina Smith of West Des Moines gave $2,500, and Des Moines’ Sandra Newkirk of Meredith Coporation and Thomas Newkirk, an attorney, maxed out. She also had several pockets of big donors in Colorado, Minnesota and Alaska. A couple Greenfields and others from Alaska all maxed out to the campaign (Greenfield actually raised more money just from individuals in Alaska than many other candidates had for their entire filing). Around $20,000 were listed as unitemized contributions, which are donations under $200. The campaign clearly wanted to make sure they got to the magic $200,000 number for their first filing. Greenfield herself put in $11,140, about half of which was in-kinds, which helped boost their total. Her campaign manager contributed the maximum amount as well (I have a feeling he’ll get a nice holiday bonus in his last December check that just so happens to be $2,700). On the expenses front, Greenfield spent the most of the 3rd District candidates, though all of it was your usual operating costs. Payments for two staffers, $4,000 for research, close to $10,000 for digital and website consulting fees. 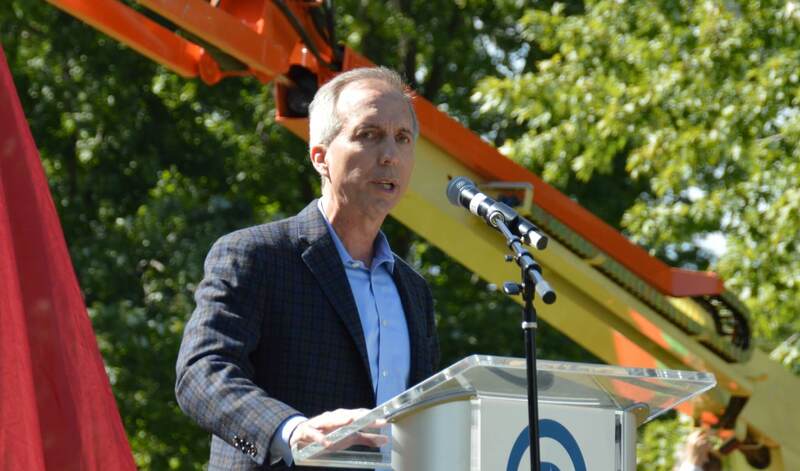 South Side businessman Mauro ended the 3rd quarter – his first financial report – with the most cash-on-hand of any 3rd District candidate, putting him in a good starting position to run a real ad campaign on TV and in the mail later in the race. 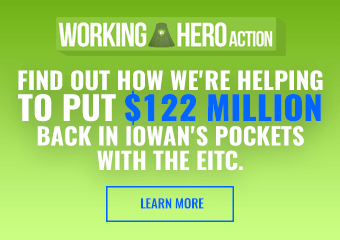 $100,000 of his total came from a personal loan to the campaign, with the other $82,000 being raised from non-traditional sources in Iowa and beyond. Like Greenfield, Mauro was able to tap into his own unique donor network: small business owners. Des Moines’ Mary Middleton of Middelton Capital Holdings maxed out at $2,700, as did Launch IT’s Hiram Houghton of Johnston and Lakshmi Srinivasan of Urbandale. There were also a lot of South Side names on his list, and many members of the Mauro family pitched in too. Mauro also brought in a good chunk of money just from two families. $16,200 came from three members of the Nowak family from Wilmette, Illinois. $21,600 was donated by four members of the Russo family in Los Angeles, California, including Joseph Russo, the director for The Avengers movie. Gerald Nowak and Basil Russo are attorneys. 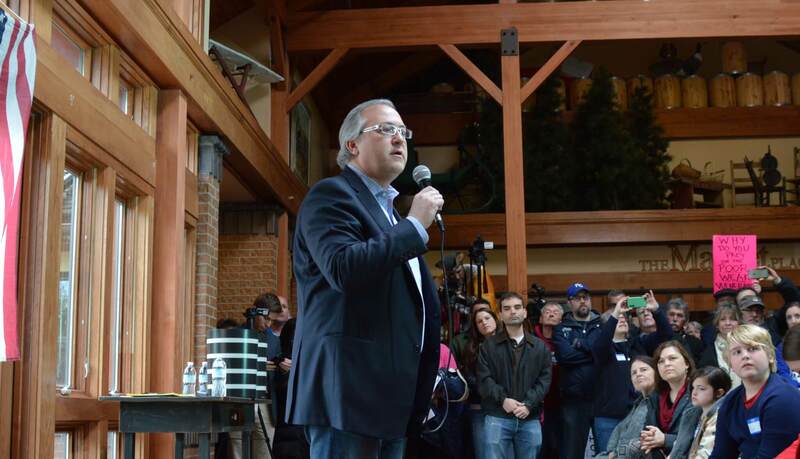 Mauro had $5,000 in unitemized donations, one of the smaller totals for small donors in the 3rd District race. His campaign kept their expenses low, most of which were to one staffer and $9,000 to a D.C. consulting firm. He had a full, professional video/production team with him at the Steak Fry, so those costs may bump up in the next quarter. Some first-time candidates’ fundraising drops off significantly after their first finance reporting once they exhaust their initial personal network. Axne’s didn’t, and her second quarter of reporting was similar to her first thanks in part to the largest small dollar network of the 3rd District candidates. $30,496 of her donations were unitemized (again, meaning under $200), compared to $42,615 itemized. 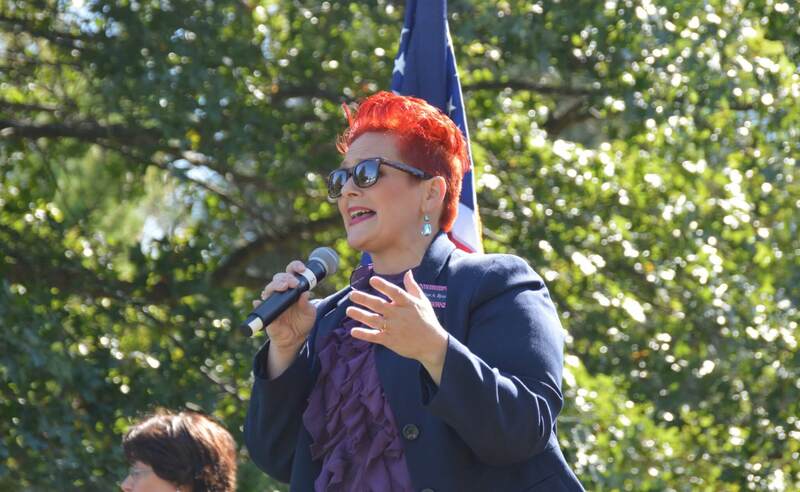 Though she raised less than half of Greenfield and Mauro’s totals, her early start in the race keeps her cash-on-hand in striking distance of the top two fundraisers. Nearly 80% of Axne’s donations came from Iowa, including many $250 and $500 checks from the West Des Moines donor network. Aside from that geographic base and a decent number of contributions from Department of Natural Resources employees, most of Axne’s donations came from a mix of Iowa sources. Michael Simonson of Des Moines contributed $1,700, Diane Krell of West Des Moines kicked in $1,000 and Krista Tanner of Clive gave $1,000 as well. She got a handful of larger out-of-state donations, including $1,000 from Chicago attorney Elizabeth Foley, $1,000 from Shenti Group CEO Thomas Delay of California, $1,500 from publisher John Langan of New Jersey and $1,000 from Brett Henderson, a New Mexico neurosurgeon. Expenses went to two staffers and research. 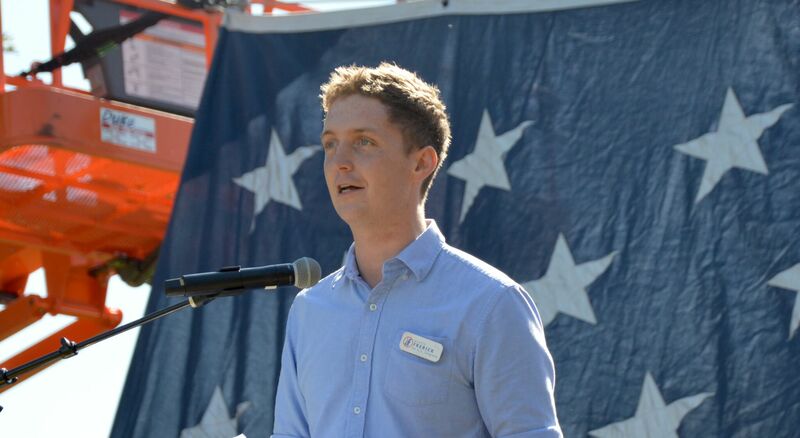 This was the Des Moines political consultant’s first quarter, though not a full one for him – he announced about six weeks out from the fundraising deadline. $16,300 came from unitemized donations, while most of the bigger donations came from a wide array of people who work in the political campaign world. Many recognizable names in the Iowa consulting class made D’Alessandro’s list, including Jessica Vanden Berg, Joe Shanahan, Jesse Harris, Norm Sterzenbach, Jack Hatch, John Hedgecoth, Bruce Koeppl, Matt Paul and Steve Wandro. Charlotte Hubbell maxed out for this 3rd District campaign as well, as did Michael Dillon, a D.C. public relations consultant. The former Bernie Sanders adviser got some help from his old campaign colleagues: $1,000 came from Tad Devine, another $1,000 was given by Revolution Messaging CEO Scott Goodstein, $527 came from Robert Becker and Rania Batrice contributed $500. The majority of Frerick’s donations came from small donors, with $9,143 of his $15,000 total in the unitemized category. He got a few big checks from some family members, then a smattering of $250 and $500 donations from around the country. Frerick loaned himself $659 at the end of the quarter to get him to a nice, even $15,000. He had small expenses for consulting work and some travel. Dr. Rev. Knupp had $415 in unitemized donations, received $2,500 from Bruce Knupp of Ohio, got $1,000 each from Dr. Mark Pothitakis and attorney Niko Pothitakis of Fort Madison. $500 was donated by the Free Thought Equality Fund. The rest were in-kinds from Knupp himself. His expenses were for some consulting services and printing. As of Wednesday night, there was no filing on the FEC’s website from Ryan’s campaign. For this year’s 2nd quarter, she filed a hand-written report and was subsequently sent a warning letter from the FEC about filing electronically. It’s likely she mailed this finance report in as well, so it won’t be up for another couple days. As you can clearly see from the finance reports, even though Greenfield leads in fundraising and Mauro is ahead in cash-on-hand, this race is wide open. Even moreso when you consider some of the bases of support each candidate can lock down. That all makes it very likely at this point that no one will get to 35%, and that Democrats will end up choosing their nominee at convention. Of course, that doesn’t make the current race or primary day vote meaningless, as the outcome there may heavily influence the convention. Greenfield has clearly started the race with the best rolodex, reaching into donor bases others can’t and has been very successful at it. That could cause a snowball effect among the Des Moines donor crowd if they see her as the most electable candidate who also holds an early money advantage. National Democrats are reportedly very intrigued with her candidacy, though the finance report doesn’t seem to indicate them directing extra funds her way at this point. Her ability to defeat Young is one of her better selling points right now. 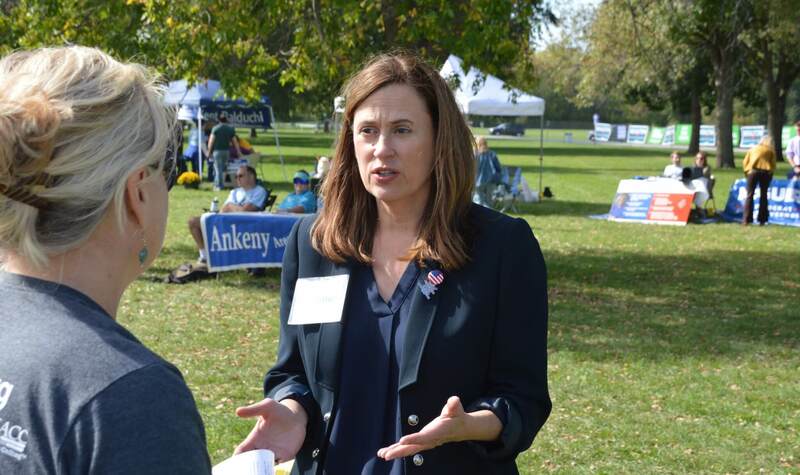 A female business executive could play well in the Des Moines suburbs where independents and moderate Republicans may be willing to swing Democratic as they get fed up with Donald Trump. She also was raised on a family farm, saw her family go through the struggles of the Farm Crisis and gives off a more authentic rural look on the campaign trail than most Democrats. She might be able to keep Republican margins in the 3rd District’s rural counties lower than usual. Unlike the 1st District and gubernatorial race, labor doesn’t have a clear favorite here yet. Greenfield’s life story may resonate with some – her first husband was an IBEW worker who was tragically killed on the job when Greenfield was 24 years old. Workers’ compensation helped her steady her life after that. However, given the amount of money Iowa labor is pouring into Nate Boulton’s gubernatorial campaign, they might not fully engage in the 3rd District race, especially if there’s uncertainty with a potential convention. 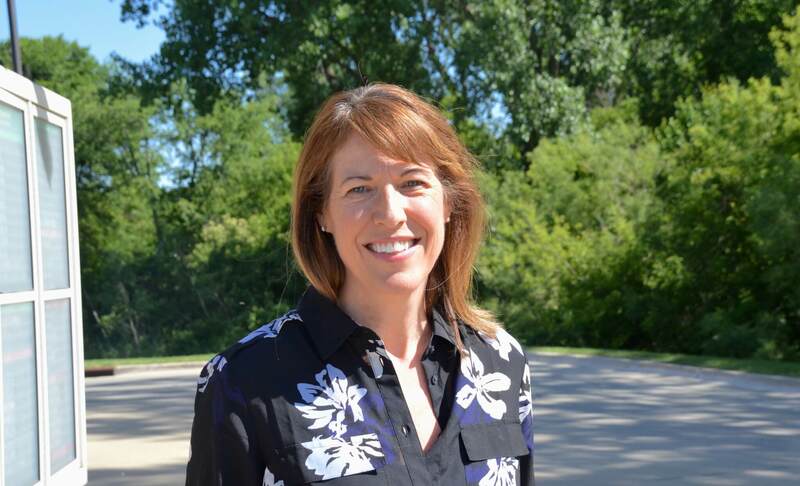 Axne’s small business background may initially make her look somewhat similar in profile to Greenfield, but her campaign is looking to differentiate themselves with Axne’s policy knowledge and experience in government. She has probably the best environmental credentials in the race, having worked on the state’s energy and environment plan in the Culver administration. West Des Moines, which sees high turnout for primaries, will also serve as an important geographic base of support for Axne. Her mother lives on a Warren County farm, which could give her some inroads there as well. On the fundraising front, Axne’s small donor network can help sustain her through a long primary season and prove more resilient once other candidates run through all their maxed-out donors. She’s been particularly aggressive in asking every person she meets at Democratic events to chip in a few bucks, and her campaign has a strong online donor program. But she’ll really need to start finding more donors who can cut big checks to keep pace in the money race. 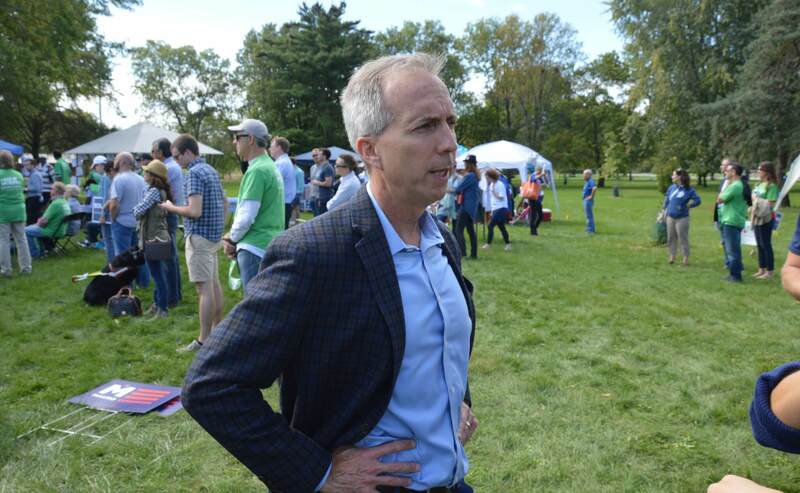 Many Democratic insiders at first dismissed the news of Eddie Mauro getting in the 3rd District race, many of whom are still annoyed that he challenged incumbent Democratic State Representative Jo Oldson last year. He lost that race badly, 33% to Oldson’s 67%, adding to Democrats’ skepticism of his current bid. But that would be a short-sighted view, as well as a misread of Polk County politics. Mauro starts out with the absolute best geographic base of all the candidates, and one that likely won’t waver. He got trounced by Oldson in most of Des Moines, but utterly dominated the few South Side precincts in that house district. Des Moines’ heavily Democratic South Side politics are tribal affairs, and the Mauro name carries a lot of weight there (they’re also very experienced at primary turnout operations). 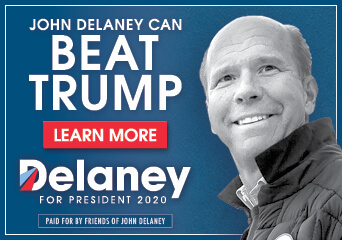 He clearly has good fundraising connections outside the typical networks, and his report made it seem like he still had plenty of contacts to work his way through, so he’ll probably have enough funds to run a full ad campaign. The big question for Mauro is what part of the Democratic Party outside the South Side does he appeal to? 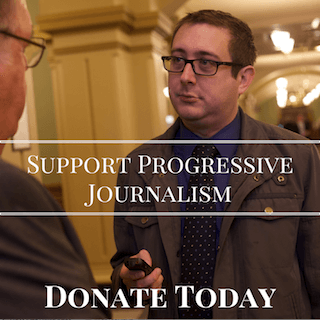 Women may naturally drift to Greenfield and Axne, D’Alessandro will dominate the progressive ideological crowd and Frerick is courting the rural vote and policy-minded people who care about agricultural issues. Mauro’s messaging will be very non-traditional, but it’s an open question of what coalitions he can put together. 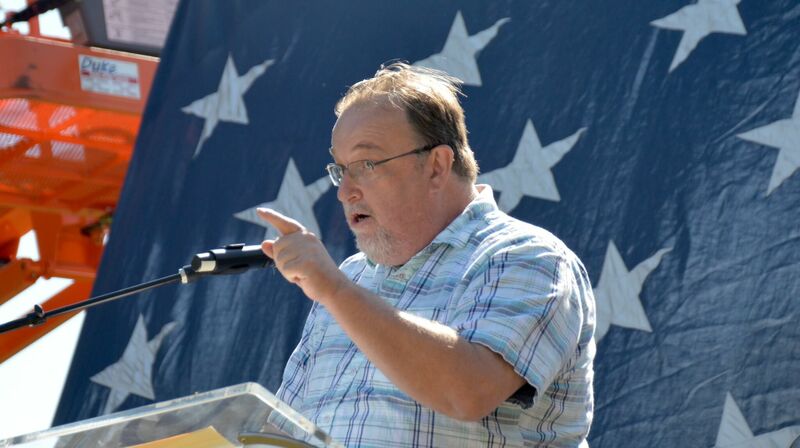 He could be one of the top contenders by building off a solid geographic base with a unique appeal to voters in the broader district, or his profile could fail to win converts outside of his home area and he doesn’t get far. Mauro is probably the biggest wild card in the primary. Pete D’Alessandro’s bid could go many different directions as well. Like Greenfield, he too is making an electability argument, albeit in a much different fashion. A longtime political operative who was recently a top staffer to a far-left candidate running in a red-trending state most certainly doesn’t sound like your traditionally electable candidate, but that’s the point. In the past two cycles, national Democrats thought they had strong candidates in Staci Appel and Jim Mowrer. Both were able to raise a lot of money and were able to check all the DCCC best practice boxes. And they both lost by large margins to Young. Maybe it’s time to try a different approach. D’Alessandro likely wouldn’t get the same crossover appeal in the Des Moines suburbs like Greenfield or Axne could, but he could over perform in different ways. Running on a Sanders-inspired progressive platform could give younger voters (of which there’s a lot in Des Moines) a candidate to get excited about. And a bluntly honest candidacy on the issues could appeal to voters who are sick of the same old poll-tested Democratic messaging they hear each cycle. Outside-the-box tactics are an electability argument in their own right for D’Alessandro – a radically different campaign might work, it might not, but we’ve seen the DCCC method fail for two straight cycles in a district that Democrats should be doing better in. Still, he needs to quickly ramp up his fundraising operation, as you got to get on TV at least a little bit to pitch that message. Sanders’ national network might throw their support to D’Alessandro in the coming months, boosting his small dollar reach significantly. Even with limited funds, Austin Frerick has found ways to stand out in the primary and has garnered a decent amount of press coverage so far. He has probably the most unique message in the race, focusing in on anti-monopoly solutions to take on abusive practices by huge agricultural corporations. There’s a decent amount of Democratic voters who care about those issues, but rarely hear about it from candidates. Frerick is also the only candidate not from Polk County, and he’s making rural outreach a big focus of his campaign. But like many other candidates near the bottom of fundraising totals, he’ll need to find a way to transform that unique candidacy into bigger donations somehow, as social media and traveling the district on its own won’t be enough to come out on top on the election day. Heather Ryan and Paul Knupp won’t factor much into the final 3rd District result. The incumbent’s 3rd quarter report looked much like your typical David Young filing: maxed out checks from just a few dozen well-known Iowa donors, supplemented by an enormous amount of PAC checks. On the individual front, Young got $5,400 from the Lamberti’s, who run Casey’s. $2,700 came in from Republican financier Gary Kirke. LS2 Group’s Karen Slifka and Chuck Larson gave $2,700 each as well. Young benefited from quite a few agriculture-related PACs, with $2,500 from POET, $5,000 from Monsanto and $5,000 from Ag Processing Inc.’s PAC. Various other industry PACs pitched in, as they do for most incumbents: $2,500 from Wal-Mart, $2,500 from Delta Air Lines, $2,000 from Wells Fargo, $2,500 from Cox Enterprises, $1,000 from Lowes, and many others. A significant amount of Young’s totals came from the PACs of other Republican representatives and senators, a method in which incumbents share extra funds from otherwise maxed-out donors with their colleagues. Paul Ryan directed many thousands of dollars from his various PACs and committees. Senator John Thune of South Dakota sent $5,000 Young’s way. House Majority Leader Kevin McCarthy’s PAC contributed $2,000. This is the most amusing part of Young’s report, simply for the odd names that members of Congress use for their leadership PACs. $1,000 came from Buddy PAC, the PAC for Congressman Buddy Carter of Georgia (which is exactly what I would imagine a Republican congressman from Georgia would be named). Pine Tree PAC, which gave $1,000, is Congressman Bruce Poliquin of Maine’s. Some get creative. Congresswoman Mimi Walters of California’s PAC name is MIMI PAC (Making Investments Majority Insured) – she gave $1,000. I’ll let you figure out which senator gave Young $5,000 from their Jobs, Opportunities and New Ideas PAC (hint: look at what the PAC’s acronym spells). And then there are some PAC names that are just downright dumb. Young got $1,500 from the Mr. Southern Missourian In The House PAC, run by Congressman Jason Smith who represents – you guessed it – Southern Missouri. I realize that the acronym spells Smith, but come on. Does Smith answer his phone with, “Hello, this is Mr. Southern Missourian In The House speaking, who’s this?” My home state’s politics embarrass me enough as is, but this enters a whole new territory. Anyway, I digress. Young must not have worked the phones too much this quarter, but he still sits on a decent-sized war chest. Theresa Greenfield may have robbed herself of the bragging rights that she out-raised the incumbent by filing her report before the deadline. Young’s campaign transferred $22,050 from his David Young Victory Fund at the last minute. The final donation of the quarter came from Young’s father, maxing out at $5,400, allowing his son’s total to reach $3,000 above Greenfield’s impressive haul. But then, what are parents for? PREVIOUS POST Previous post: How Many Iowans Must Die Before Reynolds Reverses Medicaid Privatization? This is a tough race, but I’ll admit I’ve been impressed early by Greenfield, not knowing who she was before her introductory speech at the steak fry. I sat near the front and saw her speech notes quickly get blown off the podium, but she never missed a beat — spoke from her convictions and seemed sharp and sincere. Glad to see she’s off to a solid start fundraising. Ha! So as I look at it this race is Austin Frerick and six people from Des Moines. Go, Austin!